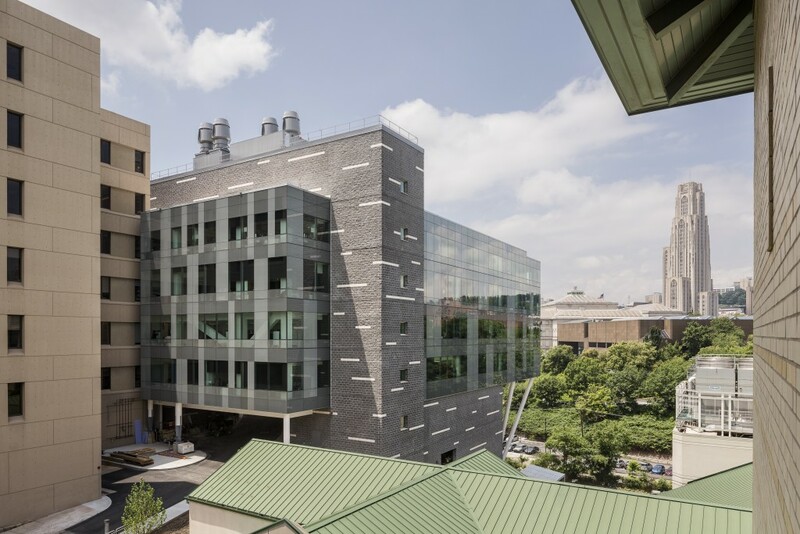 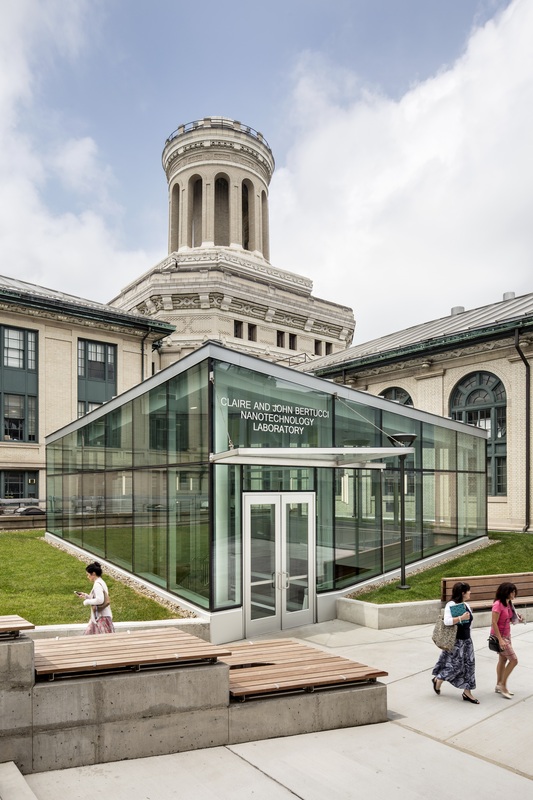 Sherman and Joyce Bowie Scott Hall, Carnegie Mellon University | D-M Products, Inc.
Project Description: Completed in 2016, this new classroom/laboratory for Carnegie Mellon University is pursuing LEED Gold Certification. 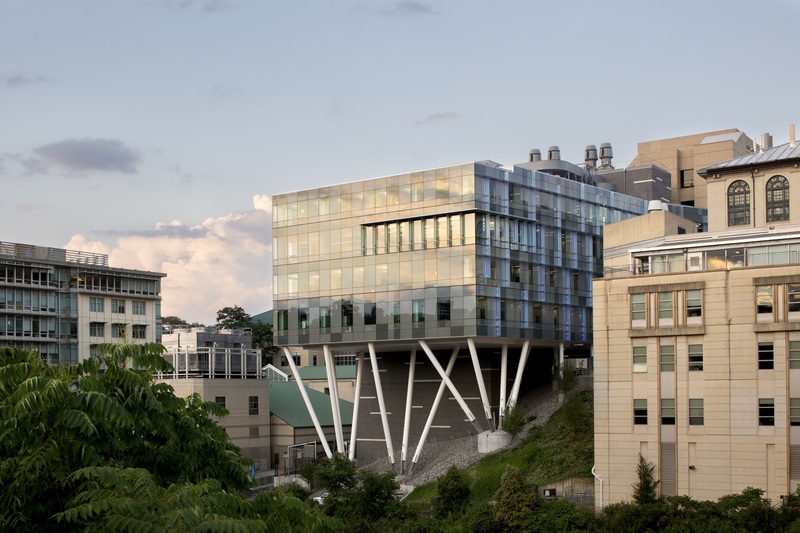 The building is situated on a difficult campus location, cantilevered over Panther Hollow. 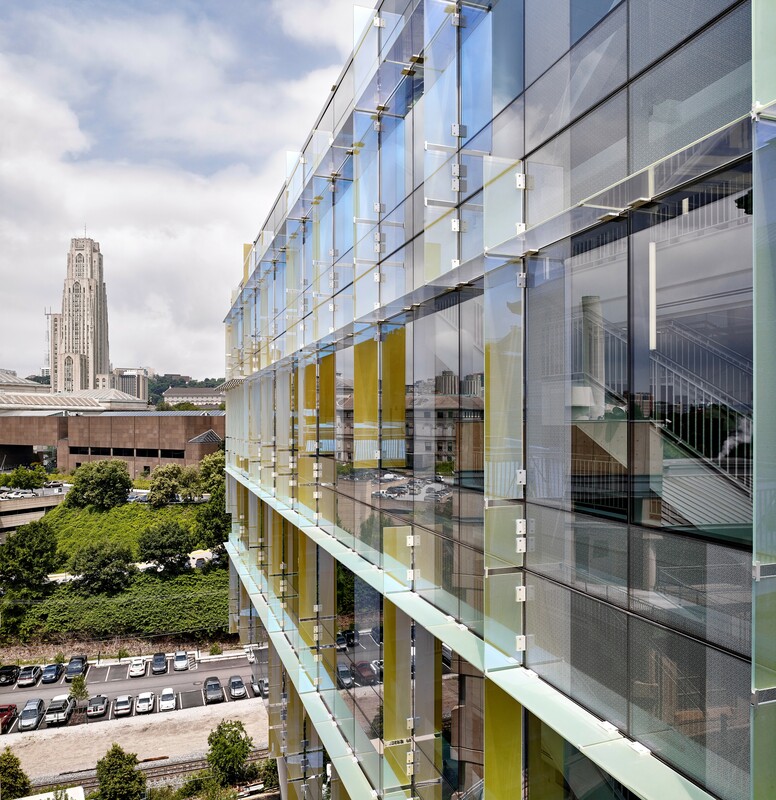 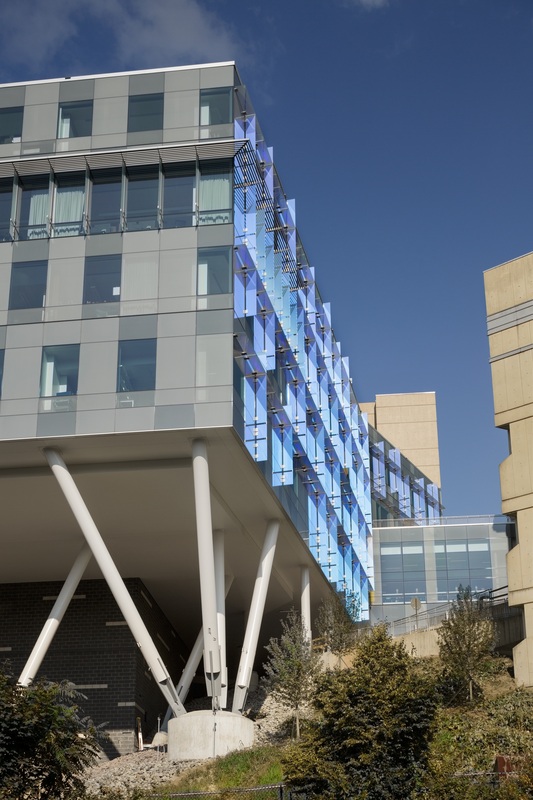 This site posed a particular challenge for access and installation of over 35,000 SF unitized curtain wall frames with custom dichroic glass fins and sunshades. 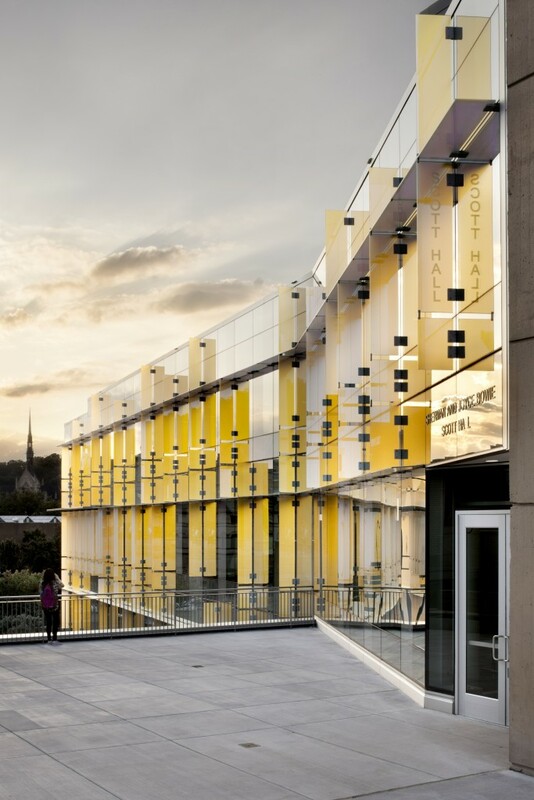 Additionally, our work included insulated metal panels, glass canopies, skylight, entrances and interior glazing.